When I look back at a year in reading, there are always surprises. There are books I liked very much at the time but which now, after a couple of months of reflection, haven’t made the grade. There are obvious changes in reading habits from year to year. There are memories of bright and beautiful characters and precious reading moments. This is my alphabetized-by-title ‘Best of 2012’ list, featuring books I read in 2012 (they weren’t necessarily published in 2012). Oh, and remember to check out the end of the post for a giveaway! A Monster Calls by Patrick Ness – Ness writes spellbinding books that absolutely destroy your feelings. And then you want (or need) to read more. 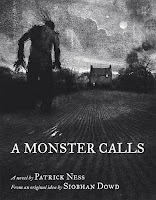 A Monster Calls is part fable, part real-life falling apart, and after twelve months, I am still impressed by its imprint on my reading consciousness. Above by Leah Bobet – I picked this one up for the cover art, and while I was surprised that the contents didn’t seem to match, I was impressed at how much the story exceeded any expectations I had. A fascinating and intricate mix of fantasy and mental illness, played out in a world underneath Toronto. 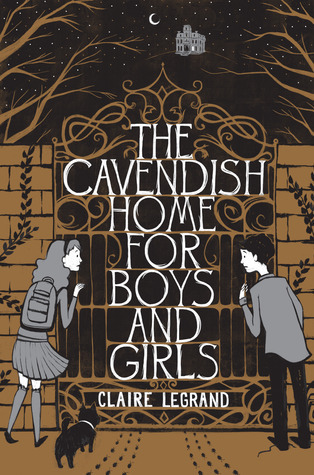 The Cavendish Home for Boys and Girls by Claire Legrand – Creepy, old-fashioned middle grade horror, complete with charm, surprises and one of my favorite heroines of the year. Cosmic by Frank Cottrell Boyce – Cosmic isn’t just engaging middle grade science fiction – it’s also a nerdy/clever/heartwarming take on the relationships between kids and their fathers, and a meditation on what growing up looks like. Enchanted Glass by Diana Wynne Jones – Diana Wynne Jones is synonymous with story magic. This all-ages fantasy features a boy, a dog, and a lot of things that aren’t-quite-right. It made me glow with happiness for days. For Darkness Shows the Stars by Diana Peterfreund – Persuasion is my favorite Austen title. This is a young adult post-apocalyptic sci-fi retelling of Persuasion. You can believe I was in heaven reading Peterfreund’s latest, because that’s pretty accurate. The Girl Who Fell Beneath Fairyland and Led the Revels There by Catherynne M. Valente – This second installment in the Fairyland series lives up to the first book’s perfection. Valente’s middle grade fantasies are my favorite ongoing series of the moment. No lie. Graffiti Moon by Cath Crowley – In a year when I read several young adult contemporaries, this and Stupid Fast were the best of the lot. Thoughtful, deep, and art-filled (though without images), Graffiti Moon is an unexpected treasure of a romance. 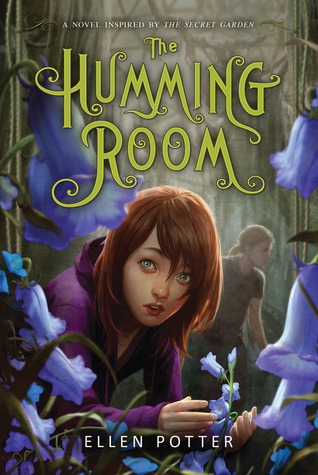 The Humming Room by Ellen Potter – If you enjoyed The Secret Garden, here’s a book for you: a lovely little retelling of that story, featuring a heroine just as feisty as the original Mary. Set in upstate New York, this reinvention keeps the focus on nature and relationships, and its quiet splendor wins the day. Inside Out and Back Again by Thanhha Lai – I read this award-winning book in verse for National Poetry month, and was moved by its beautiful, spare story of war and immigrant life. Plain Kate by Erin Bow – This Eastern European-based fantasy pulls heartstrings and comments on the nature of community, friendship and trust in the face of hardship. Its courageous heroine and her cat will find a place in your soul. 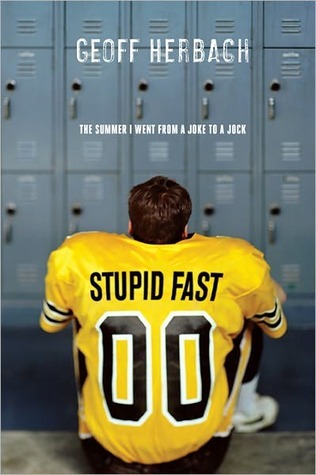 Stupid Fast by Geoff Herbach – Oh, what a character! Felton’s internal dialogue is hilarious, delightfully weird, and absurdly genuine. Herbach has created an original, and I’m pretty sure that makes him a genius. Unspoken by Sarah Rees Brennan – Ms. Brennan has a lot to answer for. Her book set my heart on fire, and I’m (still, all these months later…) having a hard time thinking of anything else. I gave copies of Unspoken to three of my loved ones at Christmas. The second installment in her Lynburn Legacy series can’t come soon enough to please me. Were any of these on your list (official or not) for the best of the year? And now the fun part: a giveaway! Two winners will receive their choice of any book from my Best of 2012 list (audiobook and/or ebook editions included, as available). To enter, simply fill out the FORM. Giveaway is open internationally, will end on January 27th at 11:59pm EST. Books will be shipped from Amazon or The Book Depository. Winners will be selected randomly and notified via email. Good luck! I loved A Monster Calls and Graffiti Moon too. And some of the others sound right up my alley. Oooh, so many of these are books that I adored as well! Very good list. I've only read three of these! But I totally agree with the three I've read - Stupid Fast, Unspoken, For Darkness Shows the Stars. I love love love Felton so much! I can't wait for the final book in the series. Great list! Great list! I haven't read ANY of these - I better get busy! Here's to more great reading in 2013! I finally read the first Girl Who book last month and luckily got the second for Christmas. I'm guessing I'll be reading it within the next few weeks. I don't think I can wait! I would love to read A Monster Calls so thanks for the opportunity. 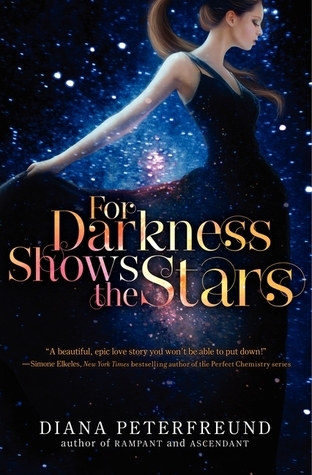 For Darkness Shows the Stars has the prettiest cover, so on a shallow level I'm drawn to that one. :) It's great to know you liked it so much! Ooh, so many of these are still on my TBR list! I'm going to have to read faster! Really looking forward to For Darkness Shows the Stars and Plain Kate. Agreed about Unspoken - I read it earlier this month and loved it!! You read some wonderful books this year! I particularly loved A Monster Calls too. It presented such a vivid picture of grief. I haven't read any of these but I'll keep them in mind. I'm curious about unspoken! I loved Unspoken as well. :) Great list!